Last week you worked really hard to complete your Photoshop mockup, blocked out your webpage and we did some practice HTML… We are still getting used to the interface. Check out all of these links and videos. 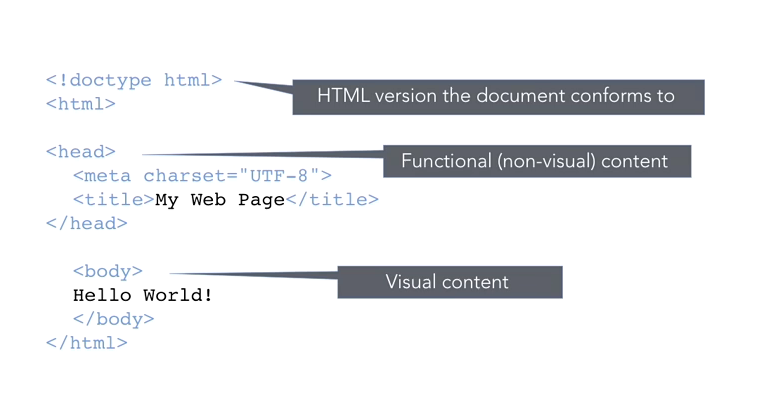 This week we are going to talk extensively about CSS (Cascading Style Sheets) vs. HTML. EXCELLENT: Adobe help with CSS Designer – including access to sample files to practice with! Easy to understand step by step tutorial of setting up CSS style sheet. DIVs – What are they? Use a class when you want to consistently style multiple elements throughout the page/site. Classes are useful when you have, or possibly will have in the future, more than one element that shares the same style. An example may be a div of “comments” or a certain list style to use for related links.Additionally, a given element can have more than one class associated with it, while an element can only have one id. For example, you can give a div two classes whose styles will both take effect.Furthermore, note that classes are often used to define behavioral styles in addition to visual ones. Use the ID when you have a single element on the page that will take the style. Remember that IDs must be unique. 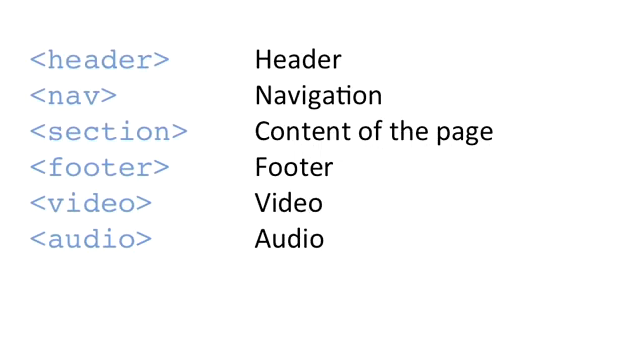 In your case this may be the correct option, as there presumably will only be one “main” div on the page.Examples of ids are: main-content, header, footer, or left-sidebar. A good way to remember this is a class is a type of item and the id is the unique name of an item on the page. Last week we focused on discussing your favorite and least favorite website designs, as well as our research and development phase + wire framing. This week: continue planning and creating a mock-up in Photoshop as well as getting all of your copy organized. We are also going to be doing more “Intro to Dreamweaver” – getting used to the interface, managing your site, starting CSS and beginning to design our webpage. . . This is a process. Be patient with the process. Now is the time to allow yourself to click every button to see what it does, toggle back and forth between code, split and design view, and scoot around the interface to experiment with every option. This intro assignment is to practice! Next week: Extensive lecture on CSS. Redesign website. This could be a restaurant you frequent, a personal website for someone you know who has a service to offer (designer, plumber, hairstylist, anything). This will not be a responsive design as I would like you to get comfortable with other skills before we get there… This project is our intro project, our longer webpage will focus on responsive design. What is the company mission? Use assets/components : See this project as a way to practice beginning web design in Dreamweaver. I’d like to see basic layouts with image and text, divs, experimenting with CSS. Remember: The more time you spend planning, the more cohesive and functional your website will be. Share feedback from PBSC new site exercise. Are you thinking in advance as to how to alter your website for IPad or IPhone viewing? Check this handy link for all pixel dimensions of standard screen sizes. Monday, Feb. 4: Welcome students! I’m looking forward to a great semester with you. Today we will talk about an overview of the whole semester, the syllabus, online tutorials and resources and have a short introductory research project and discussion. I’m thrilled to be teaching this course as we work our way through the components, terminology and features of Dreamweaver. Through hands-on lectures, demonstrations, and projects, the student will learn the essential techniques and functions of Dreamweaver. We will apply the principles of design to create effective, efficient and consistent web designs. Please click here for our syllabus and always refer to this blog for our assignments, video tutorial requirements and due dates. This is our tentative schedule – but again, absolute deadlines + assignments are always going to be posted here. So check back regularly as I build this site. Highly encouraged: Favorite web design book: $11! Why are you here? What are your goals? What is your background? What makes a great website? What are things that you think are required, optional and not necessary in a website? What is important to you in the Design vs. Function balancing act? What is Responsive Design and is it important to you? Is it the future of web design or just a current trend? What do you think IS in the future of web design? How important is social media in all of this? Find 5 websites that you love + 5 websites that you don’t like – Why? Plan out and research local redesign. Do you know anyone? This is a great way to learn as well as go to them with a better idea.